Criswell Gonzalez was a Board member of the University of Pennsylvania Museum for more than 20 years. She has a Master’s of Science in Education and Sociology from the University of Texas. Since moving to the greater Philadelphia region, Ms. Gonzalez took at least ten graduate courses in the Department of Anthropology at Penn, which led to her interest in the Penn Museum. 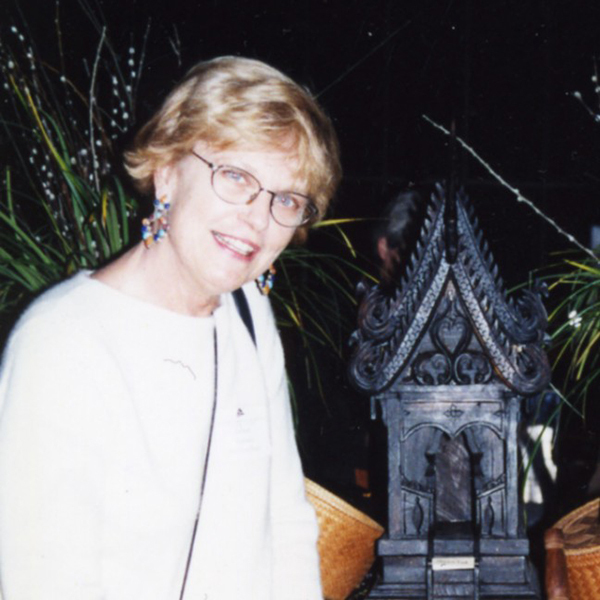 She has had an enduring interest in Asia, and visited Thailand, Laos, Cambodia, and Vietnam with Dr. Joyce White on Penn Museum tour in 1994. Ms. Gonzalez was a Friend of Ban Chiang since its early days in the 1990s.